5 Mavic Air Accessories You Can’t Fly Without! 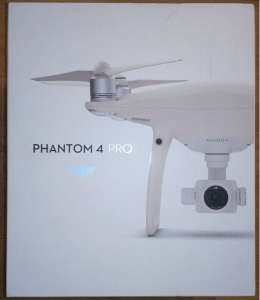 For every single drone I own, I always do an article where I specify must have items you should get if you own the same model. 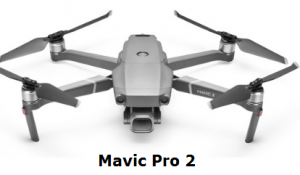 Now it’s the Mavic Air’s turn and today I want to specify 5 that are very important for it’s safety, things that will improve the quality if your flights and more. Now despite saying that you “can’t fly without them”, the truth is you can, but the Mavic Air, despite being great for filming does come with it’s own list of cons and these accessories help make up for them. 1) Car charger, specifically for the Mavic Air batteries. One thing I’ll never understand is why the Mavic Air, which came out after the Spark doesn’t have the same ability to charge via USB. It’s honestly a step down in that regard, but never the less, here we are with this limited function. So if you travel a lot and don’t have a place to charge your batteries, get a car charger for it. Here is a good one. I’ve recommended these for the Mavic Pro, the Spark and now I also recommend them for the Mavic Air. Like I said in my article with the accessories I recommend for the Spark, the same range boosters there also fit the controller of this model too. Now let’s talk for a second about the range. While it is listed at 4KM, and while that’s awesome for such a small model, it will likely never get there unless you have range boosters and/or your surroundings perfectly suite a long range flight. Add to it the fact that the Mavic Air also connects via WiFi (Lightbridge & ocusync are better) and you’ve got a lot of potential range issues. Now don’t get me wrong. I’m not saying the range is bad, but the fact that it’s WiFi really limits it’s abilities, although I have to say, I’ve been impressed with how far I’ve flown with it. Never the less, get range boosters because there’s more wrong things that can happen when you fly with this thing such as transmission issues than the possibility of flying far with it. The range boosters may very well help you reach the 4KM range. 3) Beginners/risky fliers, get yourself propeller guards! This drone is too valuable to crash! Invest in cheap propeller guards! The good news is that this drone has safety sensors on 3 sides (front, back and bottom), but the sides are exposed and these things will cover that up fairly well. Now I’ve written many times about how you shouldn’t always use propeller guards such as in open areas, but in tight ones, keep them handy. I’ve had my share of risky flights and I wouldn’t recommend going through that stress or worse. 4) The red “ankle wire”. Since I purchased this wire, I’ve never used the default ones which came with my drones and that’s because this wire creates a much more dependable connection between the transmission and your drone’s camera, meaning it’ll lose connection/image a lot less. Take for example, the Mavic Pro. It came with a loose, black wire which you attached to the side. I liked it and was careful with it, but I did have numerous situations where my connection was flaky or just lost. Ever since I got the anker wire, this has NOT happened. As it worked for that drone, so too will it work for this one. Think of this as another way to maintain a stronger more reliable connection with your Mavic Air, in addition to those range boosters. 5) Have at least 1 extra battery. If this is your only drone, then you’re going to eventually get tired of running out of battery juice quickly. Have at least 1 battery ready to go. When it lands, take off the one that’s inside, let it cool down (this is important for the battery health! ), then replace it with the new one, and charge the original while it’s in flight. That way you can have one consistent flight after another going on. Do note, I did say you should let the used up battery cool down and I wasn’t kidding. If you’re not already aware of how important it is to take care of drone batteries, have a look here. This will really help you keep the battery lasting longer and keeping the drone safe as well. Read that article! And these are my top 5 accessories you should ideally have handy when flying with the Mavic Air. I’ve had this drone for several months now and I love it, but I also understand how there’s situations where it needs one or more of these accessories to maintain that quality of flight. Loose connections, short flight time, image transmission issues and no where to charge it up are all very common things you can run into when using this model and you’re going to have a more fun time when you invest a little money in these things. The range boosters are about $10-$20. The car charger is about $15. The wire is about $5. The propeller guards are about $20. And finally the extra battery is about $50. 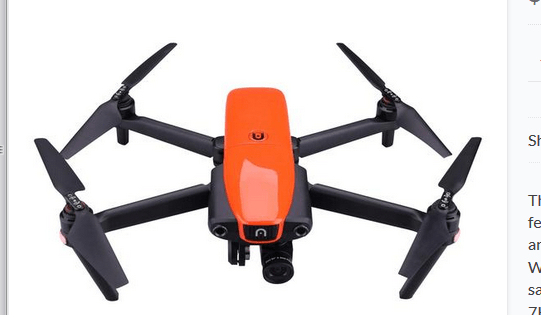 Aside from the battery, the rest are quite inexpensive, but they really help protect what is essentially an $800 drone. I always advise if you don’t already own this model, to get a combo pack so you can have way more accessories, one of which is 2 extra batteries, a carrying case and way more. You will save a lot of money and in regards to the accessories, the only thing left would be the range boosters and wire, something that would cost under $30 together. As for the propeller guards and batteries, the combo pack includes them, so a majority of the higher costs are covered in this fly more combo. But if you already got yourself the basic drone package, you can always buy the other accessories individually. That’s my list, thanks for reading!